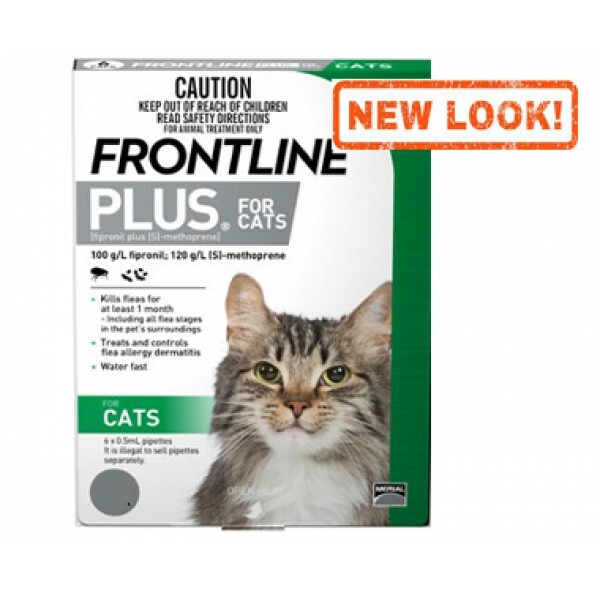 Frontline Plus stops the development of new fleas, providing the most complete flea and tick protection available. Directions for use: Break the snap off top from the pipette along the scored line. Choose an area where licking cannot occur, e.g. on the back of the neck. Part the coat until the skin is visible. Place the tip of the pipette on the skin and squeeze several times to empty contents directly onto the skin. IMPORTANT NOTE: If swallowed call a poison control center or doctor immediately for treatment advice. For hazards to domestic animals the 24 hour assistance line within the U.S.A. is 1-800-660-1842.